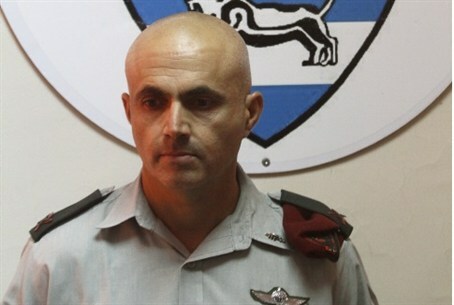 The head of the IDF’s Judea and Samaria Division Command, who is ending his term in the office, pointed out Thursday that rocks hurled at people and vehicles can be just as deadly as any bullet. “We’ve seen the outcome of a single stone when Asher Palmer and his son were killed, and when the Biton family were injured,” Mordechai said. Doctors were forced to fight for the life of 3-year-old Adelle Biton late last month after she, her two sisters and her mother were all wounded in a road terror attack on the roads of Samaria. Na’ama, age 6, Avigail, age 4, and mother Adva were seriously wounded in the attack. The family spent the Passover seder in a hospital hallway. said, “These are terrorist attacks, and cannot be considered a legitimate action,” he added. Asher Palmer, a resident of Kiryat Arba, was killed along with his infant son after his windshield was smashed by a rock hurled directly at the window in a drive-by road terror attack last year. The terrorist who hurled the rock that killed him and his son was convicted on first degree murder charges in a military court at the Ofer Prison this past Tuesday – a first in Israel. The murderer, Halhul resident Wael Salaman Mohammed el-Arjah, was convicted on two counts of murder as well as 25 counts of attempted murder in connection with other cases of hurling rocks. His attorney said he would appeal the verdict. Mordechai also noted that the so-called retribution vandalism carried out by youths and young adults who deface mosques and damage other Arab property cannot be compared to such lethal attacks. Nor are they the norm for the Jewish population that resides in Judea and Samaria, he said. “Events described as ‘price tag’ activities are led by a marginal group, but often determine daily routine and are completely opposed to the settlement movement,” he added.